Tere! Want to learn Estonian to teach your children or to expand your business or to find a new job or just to challenge yourself. Here is a platform to learn Estonian Online through Skype with our Native Tutors. Estonian is the official language of the Republic of Estonia. This language belongs to the Finno-Ugric language family and is also one of the official languages of the European Union. The language is spoken by the Estonian diaspora in countries like USA, UK, Canada, Russia, and Finland among others. Estonian is closely related to the Finnish language and both the languages are mutually intelligible. The Estonian language initially was written in using the Runes script but now it is written in Latin script. Estonian has two major mutually intelligible dialects: Northern Estonian and Southern Estonian. However the most widely used dialect is the Northern dialect. Speaking Estonian can upgrade your life by increasing opportunities for career, living, travel, friendship, and love. Learn Estonian Online with our Experienced Tutors through Skype anytime anywhere! 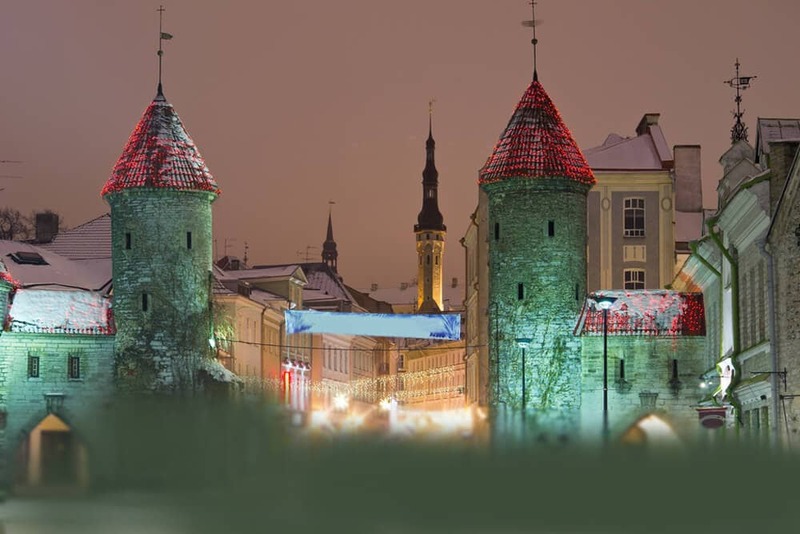 If you are planning to travel to Estonia then learning at least a few words of Estonian language will be greatly rewarding. The locals will appreciate any attempts by the tourist to seek their language. Estonian language has often been considered a symbol of Estonian identity and culture. Although Estonian people speak English, knowledge of Estonian will benefit you to learn more about Estonian culture. So any trip to Estonia will be enriched if you take time learn the beautiful language. Estonia is a very progressive country, and learning the Estonian language will help you integrate more easily with the society while staying in this country. And for those who love the challenge of learning a different and unique language, there is no better choice than Estonian. It poses some linguistic challenges because of its fourteen different cases and an unrecognisable vocabulary, making it one of the difficult languages to learn. By learning Estonian you surely can test your linguistic capabilities. There are several courses being offered in various language schools and online as well for people looking to learn Estonian. If you choose to go the online learning route, then you are in the right place. Our online Estonian language classes through Skype can help you learn Estonian in a quick and convenient way. Through our Estonian language Course you attain a flawless fluency in Estonian at the comforts of your home. Our outstanding and exceptional quality online Estonian lessons are for people from all walks of life and with all levels of learning requirements. Through our classes you can hold real conversations with our native online tutors who are always there to help you. Our one-on-one language instructions from a skilled Estonian language native professional will help you start speaking Estonian at your own pace. By choosing our language learning platform you have all the flexibility of learning Estonian on your own terms, and according to your own time schedules. So join us today and learn Estonian in a fun, interesting, and interactive way! You can now take Estonian classes one-to-one using Skype with a tutor of your choice. Our Estonian lessons are custom, effective, comfortable, and fun. Pick a tutor NOW! Choose anything specific. Whether it is conversational Estonian classes, business Estonian lessons or just learning how to greet and impress a loved one. We can help you with them all.